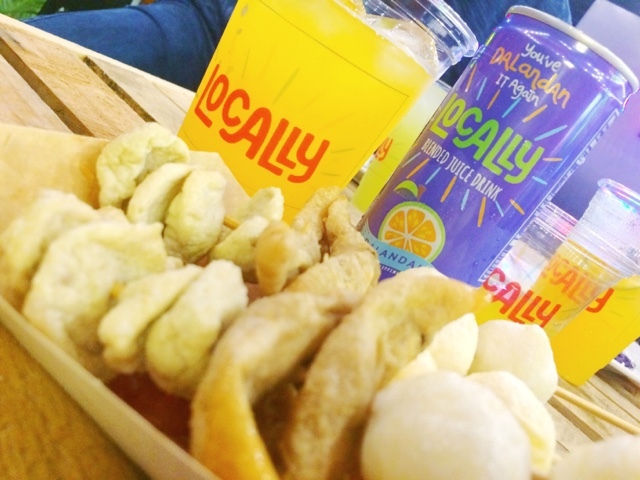 It was raining like cats and dogs but it didn't dampen our spirit to go to the launch of the LOCALLY Fruit Truck, their answer to the global food truck phenomenon this side of the world. 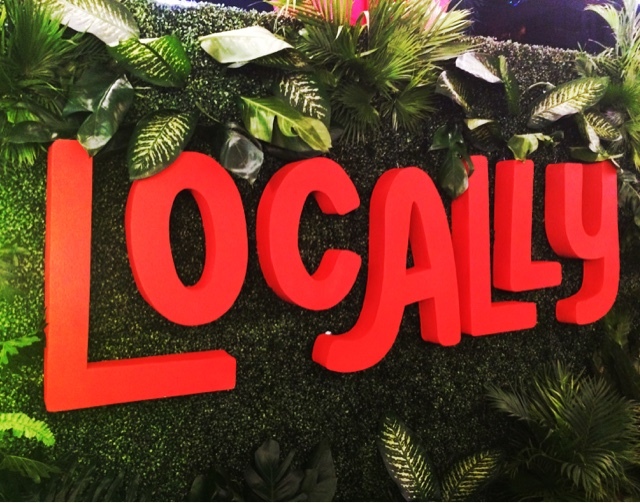 If you haven't experienced the taste of LOCALLY yet just drop by any 7-Eleven convenience stores, leading supermarkets and groceries to get that lovely Filipino flavor everyone is going gaga for. 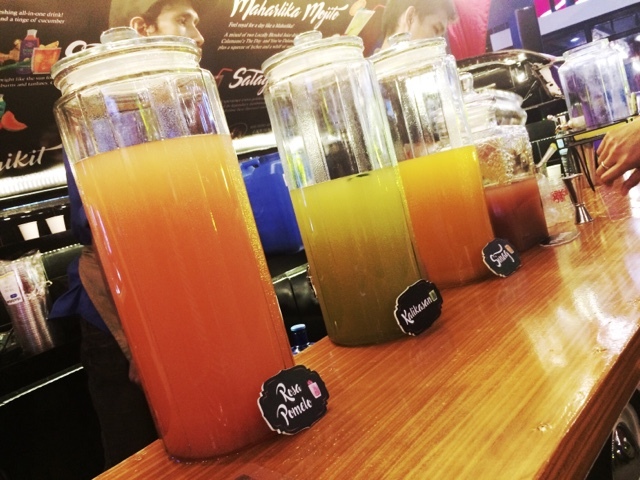 As part of BGC's Passion Fest, they set up shop right at the middle of Bonifacio High Street grounds and whipped out canisters and bottles of these sweet tangy indigenous juices. Not only that, they also had it mixed with cocktails so the larger adult crowd could appreciate it more than that. They will be roaming around the streets of Manila, major cities and nearby provinces so everyone would be able to get a taste of it. 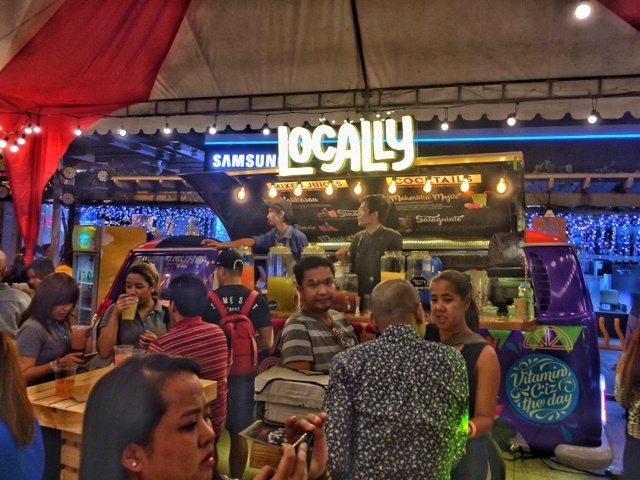 They also served several Filipino street food delicacies so you could pair it up with your chosen drink. 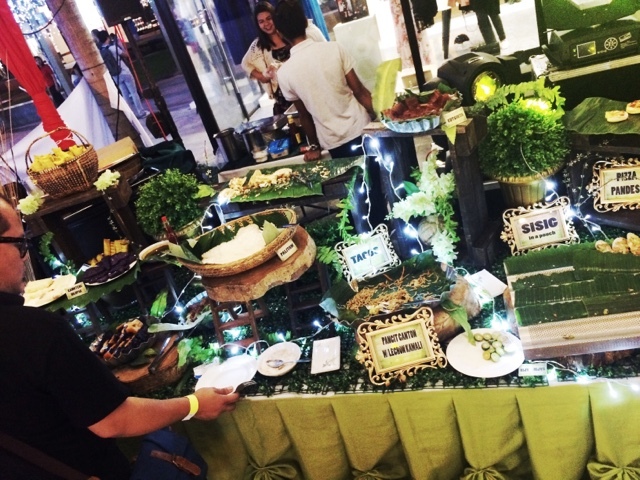 Aside from the numerous events and festivals, they will also be joining several FOOD PARK locations around the country so they could also take a load of these treats, just like we did that evening. 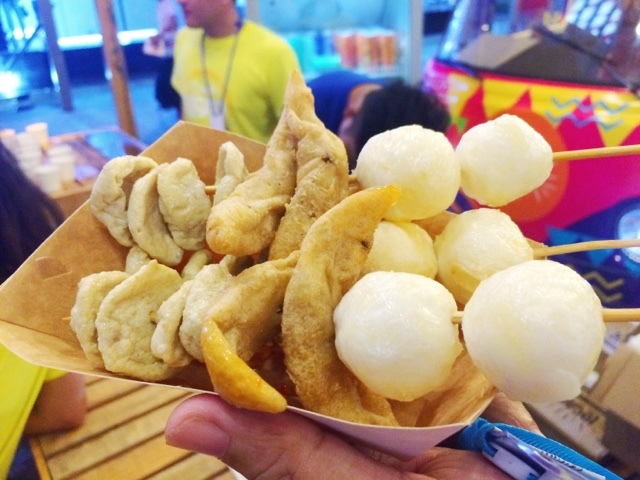 I believe I ate about half a kilo worth of fish balls and kikiam becasue darn nabbit I miss eating these since I can't remember when. It was the perfect thing to pair with the drinks, specifically my favorite one the Tamarind My Bell (Tamarind). They also have Pomelong and Lasting Love (Pomelo), Save the Best for SinegueLast (Siniguelas), Calamansi'z the Day (Calamansi/Philippine Lemon), Guyabanobody But You (Soursop), You've Dalandanit Again (Dalandan) and Mangosteenie Miny Moe (Mangosteen). These are manufactured by NutriAsia, same people who also release products like UFC, Golden Fiesta and many more. 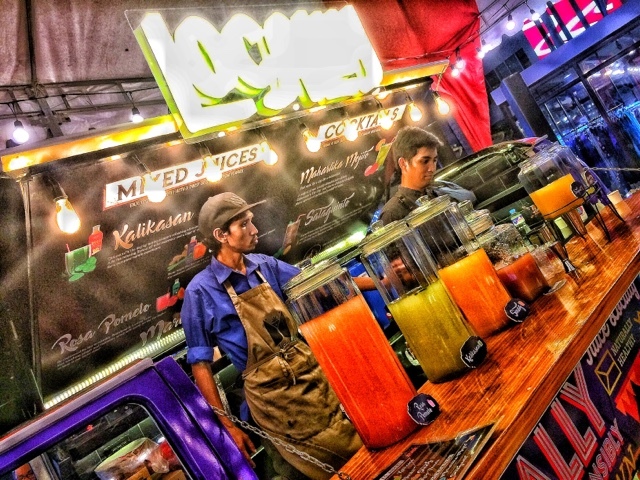 If you wan to know more about their other events or where the next Locally Fruit Truck will stay, like their Facebook page and social media channels so you could follow their schedules. Trust me, each juice product they have is totally good. They gave me a whole box and I drank it all in one sitting, no joke! 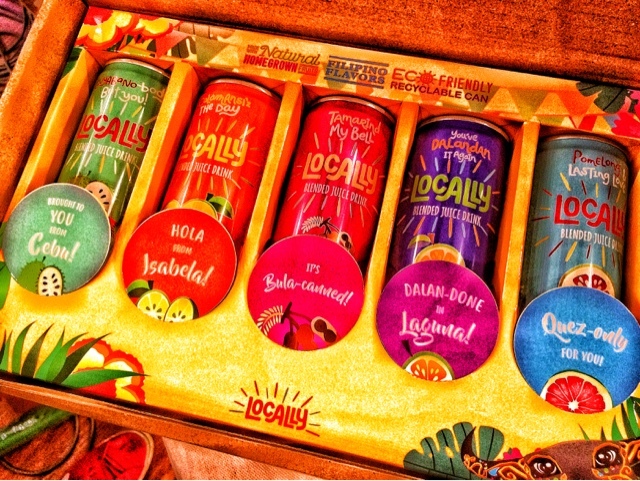 Don't miss the Locally Fruit Truck if it lands in a place near you, because some of it's being given away for free (or to taste) and I'm not even joking.